Since 2007, low-cost index-tracking funds have grown in popularity at a rate of 4 to 1 in comparison to actively managed investments. 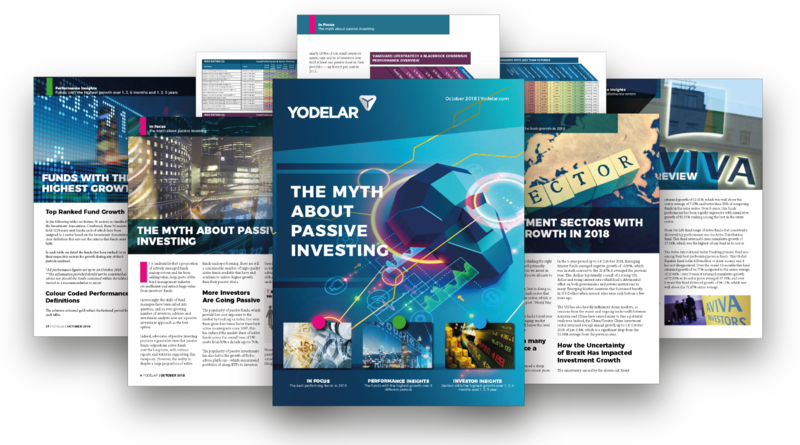 However, in this edition, we look at why passive investments fail to deliver the level of growth as their top performing actively managed counterparts. 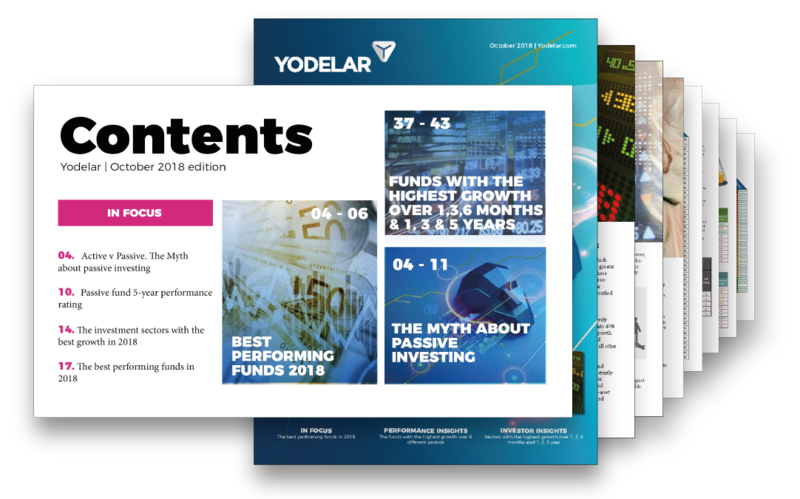 Also featured in this edition are some of our most comprehensive performance tables which identify the top growth funds and top growth sectors over 1 month, 3 months, 6 months, 1 year, 3 years, and 5-year periods. 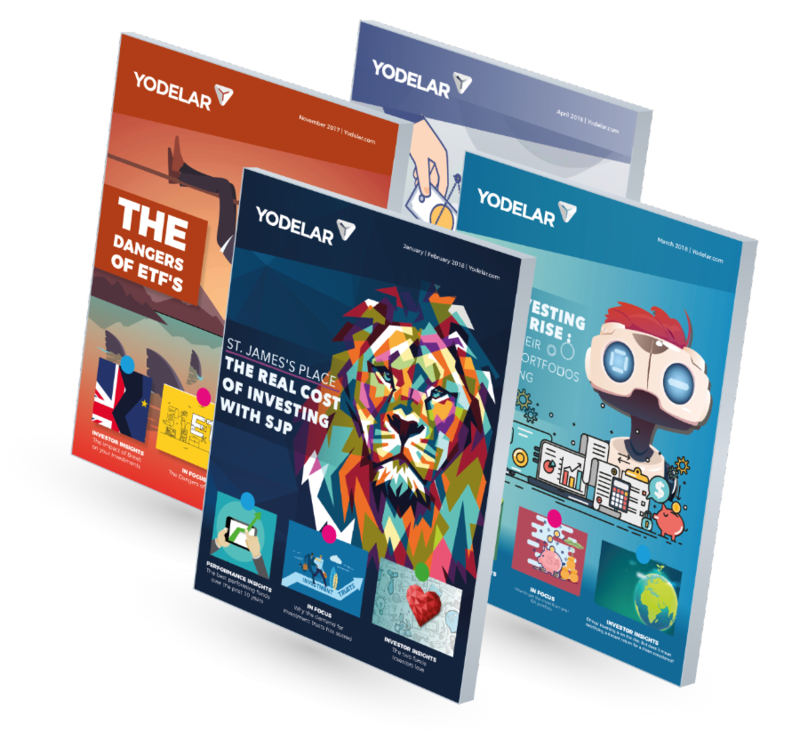 Access bespoke performance analysis on the most popular fund managers, top fund reports, and the latest fund manager league table. This months edition features the average growth returned by each (IA) Investment Association sector and identifies the sectors with the highest average growth over the past 1 month, 6 months, 1 year, 3 year, and 5 year periods. In this report, we feature 36 sectors as classified by the Investment Association. Combined, these 36 sectors hold 3228 main unit funds; each of which have been assigned to a sector based on the Investment Associations clear definition that sets out the criteria that funds must fulfil. In each table, we detail the funds that have ranked 1st in their respective sectors for growth during any of the 6 periods analysed. This analysis provides an insight into the performance of 66 funds that are managed by Janus Henderson Investors. Each fund has been provided with a performance ranking between 1 and 5-stars based on well they compared alongside all other competing same sector funds over the periods analysed.